Looking For An Experienced Commercial Electrician? We have decades of experience as electrical contractors in the commercial field. Our commercial clients include large sporting clubs, serviced apartments, boutique hotels, schools and factories. We are confident project managing large scale office fit-outs and refurbishments and offer prompt and dependable service to a large number of long-term commercial clients. We are experienced in a wide range of commercial electrical services. Want a reputable electrical firm to look after your commercial needs? Scholz Electrical has been in operation in Brisbane since 1970. We are certified Master Electricians and offer a guarantee on all of our workmanship. We place a high value on safety and are proud to have productive working relationships with many large and small commercial clients. Need advice about your job before we get started? Our friendly office staff are happy to answer any of your questions. If you have a larger job and would prefer to meet with one of our electrical contractors face-to-face to discuss the logistics, we will happily visit your business, inspect the scope of work and provide a detailed quote. Contact Us To Discuss Your Business’s Unique Needs. We understand the large scale complexities involved in commercial electrical work. Data cabinets are bigger, cable runs are longer and the need to get you up and running quickly is paramount. We offer great customer service to our large and small commercial clients and can offer prompt and prioritised service in an emergency. Contact our office to arrange an on-site quote or meeting. We’ll look after you. A business’s lighting needs are unique. We know the correct luxe required for work stations, hallways and meeting rooms. If you want to reduce your power bills with more energy efficient lighting choices, we can help with that too. Want to make an impact at the entrance to your business with lighting? We can advise, source and install the best lights for the look you wish to achieve. Contact us today to discuss your commercial lighting needs. We understand the importance of hassle-free data and communications when you are running a business or commercial operation. Let us help you return your data to peak performance and find any ongoing faults that might be impacting your phone or data operations. As experienced commercial electrical contractors we are comfortable working on large data cabinets and integrated phone systems. Contact us to schedule an on-site consultation with one of our electrical contractors. Sports field lighting is one of our specialities at Scholz Electrical. We have worked with football clubs, rugby league clubs and cricket clubs to install or upgrade field lighting to meet the required luxe. We can project manage your field lighting upgrade from design through to installation and liaise with lighting engineers to ensure your goals are achieved. We understand the need to be quick and efficient during sporting club renovations and have experience shifting the electrics and data for large numbers of poker machines. There are lots of commercial electrical contractors. Scholz Electrical’s point of difference is our experience and high standard of workmanship. There are very few electrical scenarios we haven’t come across in our decades of working in and on commercial premises. We place a high value on safety and use only reputable products bought through trusted, quality suppliers. We are the commercial electrician you can trust. Experienced. Our decades of experience means we know what to do and we will get it done right. Respected. We have a large database of commercial customers and regularly receive positive testimonials for our work. Tidy. Our tradespeople will treat you, your staff and your business with courtesy and respect. Accessible. Our office at Sumner Park is open Monday-Friday 7.30-4.30pm. Our friendly administration staff are here to help and will keep you updated on that status of your job. 1. 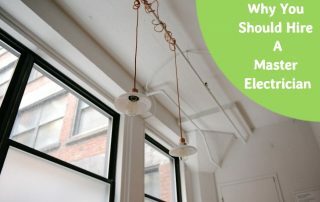 Do they have specific experience as a commercial electrician? Commercial electrical work is very different to domestic electrical work. Everything is on a larger scale – the cable runs are longer, the data cabinets are bigger and the time pressures are often greater. Good commercial electrical contractors will be familiar with all of those different factors and work efficiently and safely within your business’s preferred time frames. When you are discussing your electrical job, ask the electrical contractor if he’s done your specific job before and where it was done. 2. Are they insured? A reputable commercial electrician will have good quality insurance to cover the ‘what ifs’ that sometimes occur on a job. Ensuring your electrician is insured is a non-negotiable. If one electrician is a lot cheaper than others don’t be tempted to go with them without first checking if they have the correct level of insurance for your job. There are many ongoing costs involved in running a quality electrical business and one of these is insurance. 3. Do they guarantee their work? Having the confidence that you’ll be able contact your commercial electrician again should a problem arise with their original workmanship is important. So ask if they offer a workmanship guarantee and satisfy yourself as much as possible that they a reputable long-standing firm that are likely to still be in operation in a year’s time. A Master Electrician-certified company offers an automatic 12 month guarantee on workmanship. 4. Are they going to be able to help you out in the event of an after-hours emergency? Developing a good working relationship with your commercial electrician will hopefully ensure that if an electrical problem occurs out of regular hours, you will be able to contact them for help. After the first job has been completed, ask how you might contact them in an emergency situation.